Zoeller Sump Pump Reviews – What Makes The Difference To You? Understanding the sump pump system is very crucial especially for those homeowners who experience water leakages or rather flooded basements. Zoeller sump pump reviews therefore are a reliable source to gather necessary information that could make a huge difference to you. For an example, pumping water from basements or crawl spaces is a necessity; however, are you creating radon exposure risk while constructing a sump pit? If you are unsure about the answer, then you must understand the sump pump system before proceeding. Properly installed sump pump system offers several advantages in addition to keeping your basement dry for years. Dampened or basements with water cause a series of problems including structural damage or infestation of mold. Therefore, taking adequate measures to remove the water from the basement becomes the first priority. In fact, certain homes have more than one Zoeller sump pump installed to pump large volumes of water as well as sewage. Here are some smart Zoeller sump pumps that truly are the best companions when you deal with emergencies. Vertical float switch with off at 3" and on at 7-1/4"
Zoeller M53 is a smart sump pump suitable for various everyday pumping requirements. Positive features like cast iron housing, ceramic and carbon shaft seal, and vertical float switch ensure lasting performance. It comes with easy installation and it is a fully automatic pumping alternative over to various manual operating pumps. What this means to you is peace of mind as your basement will never flood again. The primary sump pump has to be reliable and Zoeller M53 Mighty-mate certainly fits with the requirements. The hermetically sealed and oil-filled motor with thermal protection ensures years of seamless performance without the slightest chance of overheating. In addition, it is rated at 9.7 (25.9 Start) Amps making its operations economical even when you run the pump for extended periods. Installation of the pump is simple and you do not need special supplies while fitting it in a sump pit of min 18" diameter. Zoeller M98 is a value for money proposition especially when you expect frequent flooding. This silent performer is lean on consumption yet strong on delivery of water up to 20 feet head. The pump comes with a vertical float switch with on at 9.5" and off at 3" assuring seamless and unattended removal of water. It is fitted with 15 feet long cord. Zoeller offers 98-0001 with the capacity to permit the passage of solids of 1/2" diameter. Each feature of the pump is designed to provide excellent performance and peace of mind thereof. 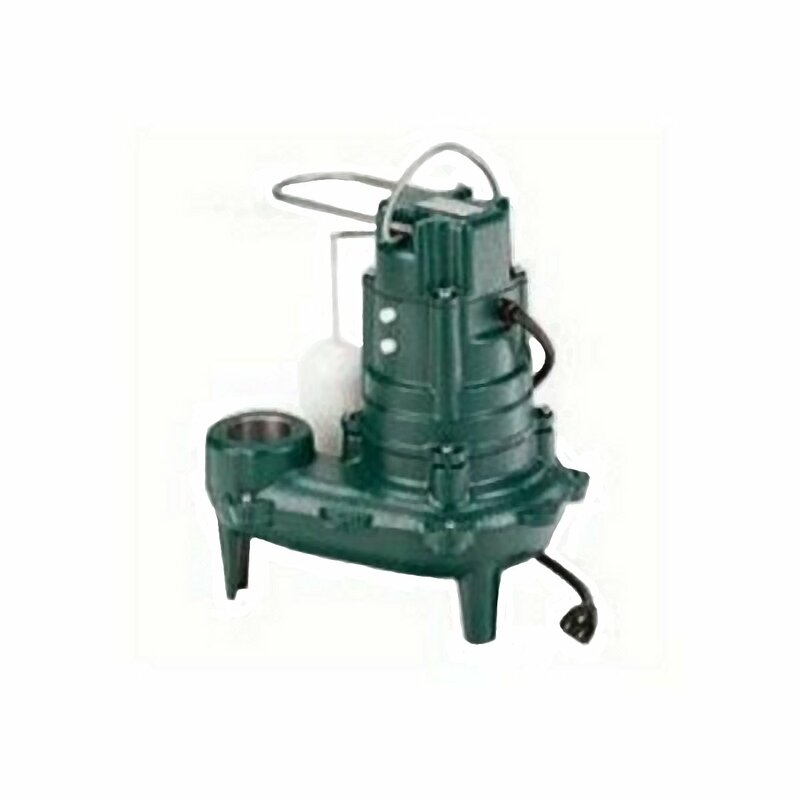 Zoeller M267 Waste-Mate Sewage Pump is a reliable primary and a submersible pump. It is designed to deliver ostentatious performance even in adverse operating conditions. The pump is waterproof and dust-proof. Zoeller offers fully pressure-tested pump with three-year warranty. 1/2 HP motor of the pump is thermally protected to prevent overheating. Buying Zoeller M267 is a great choice for sewage removal. With extended capacity to permit the passage of solids of 2" size, this pump serves the purpose to the expectations, making it best in its class and a value addition. Selection of Zoeller Sump Pump – What it is all about? Selecting a sump pump for your pumping necessities is a multifaceted decision. These pumps are available in various capacities and truly serve the purpose up to the mark of industry standards. Each pump is pressure-tested after assembly. Various features of these pumps are designed to improve performance and longevity even in adverse operating conditions like pumping sewage. In fact, Zoeller sump pump reviews confirm the same operational features too. 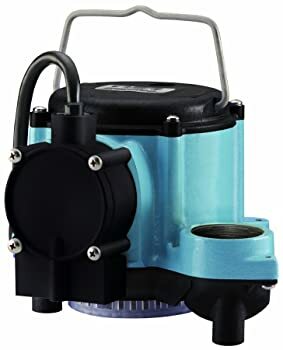 Simple installation, adequate discharge outlet size, and excellent delivery of water at various heads make Zoeller sump pump best option as a primary pump or as a standby option. DIY-minded people can install these pumps on their own without any necessity of special technical help. Certainly, selecting a Zoeller sump pump is the best value for money ever available elsewhere. Zoeller sump pumps are available in numerous configurations and capacities. A right fit for your pumping requirements is always out there. Automatic operations of the sump pump permits unattended pumping. Each sump pump comes with a long cord and its installation is simple. Zoeller pumps are available for various pumping requirements like removal of water or sewage. Sump pumps are silent in operations and consume minimum resources while delivering outstanding performance. Zoeller sump pumps have rugged cast iron casing for longevity and efficient cooling. You must select appropriately rated Zoeller sump pump for your requirements. Certain Zoeller sump pumps do not permit passage of solid objects of more than 1/2" diameter resulting in clogging or breakage of the impeller. Zoeller sump pumps do not work in a power outage unless backed by external power supply. However, you must select an appropriate pump that runs on power supply sourced from the battery. Improper maintenance of sump pumps may result in failure during emergencies. You need to keep them unclogged, ensure the float switch is working correctly, and run a full cycle when the sump pit is dry. Do I need separate 20 Amps breakers for running two Zoeller sump pumps? Yes, each pump requires separate breaker. What is vent hole and why do I need it? A vent hole of 1/8" diameter is suitable to permit the passage of air and allow the water to rush. You must drill a vent hole in the pipe. It is the capacity of the pump to deliver the water at the maximum height. Usually it is measured in feet. You must select a Zoeller pump with appropriate head for effective pumping. What is a check valve why is it needed? Check valve prevents the water back up to the pump. It is a necessary component of any sump pump. Do all Zoeller sump pumps come with a battery backup? Certain Zoeller sump pumps come with a battery backup. However, not all sump pumps are powered by battery. Where can I buy a Zoeller sump pump? 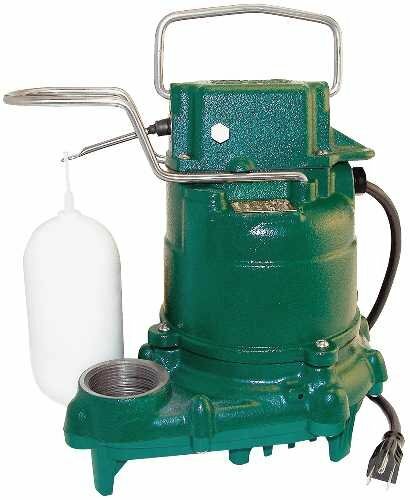 Online marketplaces like Amazon.com host a broad array of Zoeller sump pumps offered by various traders. It is one-stop shop to get the best under one roof. 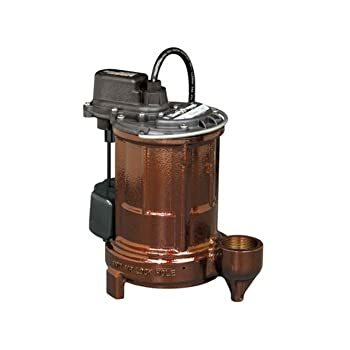 Is warranty not applicable on Zoeller sump pumps bought online at Amazon.com? No, Zoeller sump pumps bought on Amazon attract same warranty just as a pump bought from a neighborhood store. 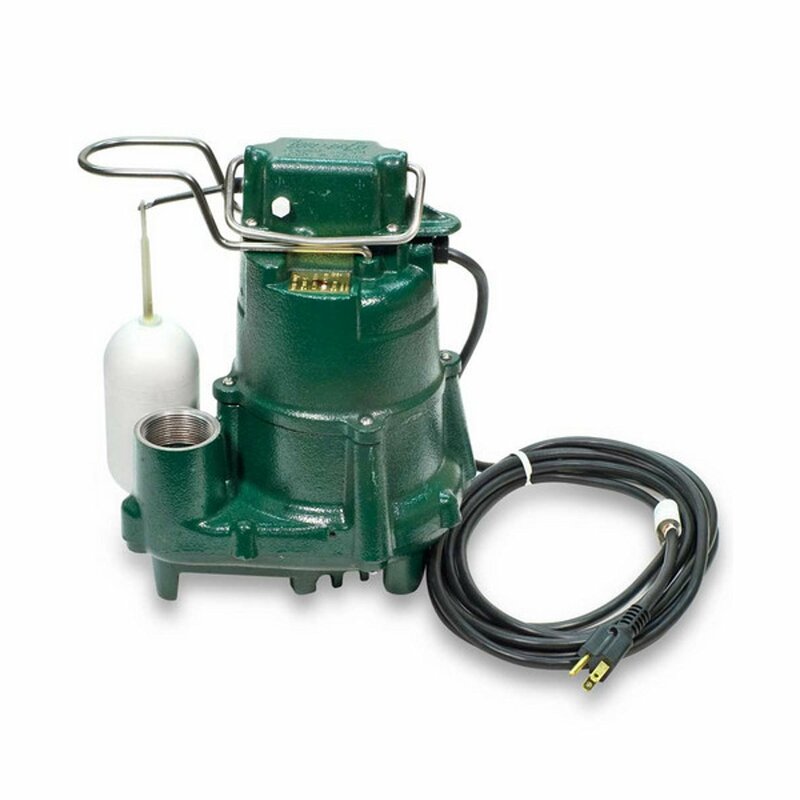 What is the standard warranty on Zoeller sump pumps? Most of the Zoeller sump pumps come with three-year consumer warranty. However, you can check individually for the model you are interested in buying. Zoeller sump pump ships on the same day. However, in some cases it may ship the next day when the order is placed in the evening. Zoeller sump pumps are available in numerous configurations of motor rating, delivery, and size. These pumps are designed to pump water as well as sewage depending upon the model. 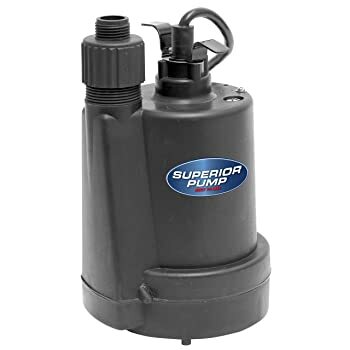 You must select a sump pump with adequate capacity to pump water at the desired height as each pump delivers its best shot at 0 feet height and reduces the delivery volume as the height of delivery increases. Therefore, do not select underrated pump. You must select the pump based on the rating and the power of the motor, material of the casing, permissible size of solids passing through the pump, discharge port size, and its electrical connectivity. Check Zoeller sump pump reviews for more in-depth information on how to select a sump pump and avoid possible pitfalls. Buying a sump pump is a crucial decision, especially when you need to handle emergencies like flooded basements. Installing a sump pump is simple and you can always keep a backup pump ready for the peace of mind you deserve. Although cast iron pump is slightly costlier than the plastic pump, they in turn offer excellent performance for an extended period due to their ruggedness and superior cooling. Sump pump is a not a glamorous exhibit. It works silently deep inside the sump pit. Therefore, buying the best makes the sense. Go ahead and select your reliable pumping companion with each feature in mind. You will buy the best your money can ever buy. 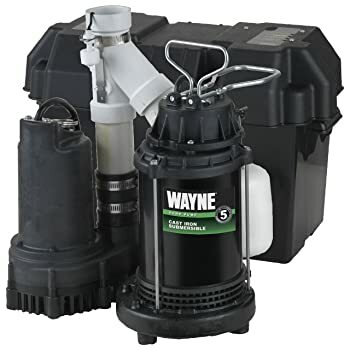 Read Wayne sump pump reviews for more in-depth information on how to select a sump pump and avoid possible pitfalls.